Russia has always had a strong domestic production base for motorcycles, having its largest plant (Imz-Ural) built to produce 400,000 motorcycles per year. The difficult realities of the post-Soviet economy are demonstrated by the fact that the plant only produced 1,800 motorcycles in 2000. 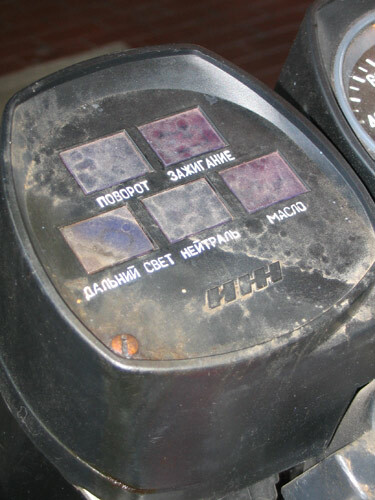 Since the 1990s, motorcycles have not been as popular among the common Russian, as passenger cars are clearly more useful, and disposable income is typically not spent on motorcycles. The Planeta 5 which you see here is a road motorcycle with cross-country ability. The "Planeta" was named for the USSR's successes in the aerospace industry. 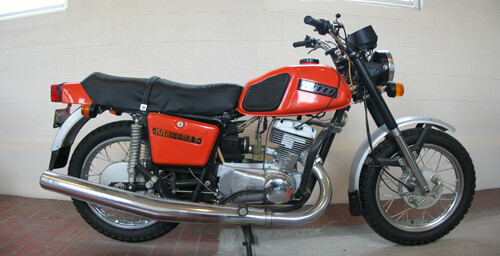 While the Planeta is almost unknown outside eastern Europe, it was one of the most produced models in the history of the motorcycle. It was also widely used as a side car mount and a “universal cargo module” for hauling cargo.